Seen on Our Santa Fe River and Ichetucknee Alliance facebook pages today. 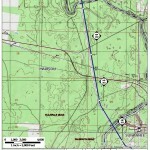 Spectra Energy also proposed the Sabal Trail methane pipeline to go under the Withlacoochee River a second time just before it goes under the Suwannee River to enter Suwannee County. 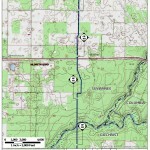 Why not just cross the Suwannee upstream of Ellaville where the Withlacoochee meets the Suwannee? Because that’s where Stephen Foster Folk Culture State Park is. Maybe the Withlacoochee, Suwannee, Ichetucknee, and Santa Fe Rivers are also important to the culture of the entire area. North Central Florida, here is the next public meeting about Sabal’s gas highway in Suwannee County, cutting under a Springshed in the Santa Fe River, about 1/2 mile from the confluence of the Ichetucknee River. 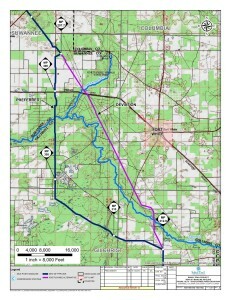 TENTATIVE AGENDA FOR March 18, 2014, 6:00 P.M.
Natural gas highway proposed in the springs heartland —Merrillee Malwitz-Jipson.